BOSTON, MA—The Boston Red Sox today awarded six fans, one from each New England State, with a 2010 Opening Night VIP Experience. The winners, selected at random, were recipients of lunch at GameOn!, a behind the scenes tour of Fenway Park and four tickets to Opening Night versus the New York Yankees on Sunday, April 4. Red Sox President/CEO Larry Lucchino, Executive Vice President/General Manager Theo Epstein, manager Terry Francona and Executive Vice President/COO Sam Kennedy were on hand today to greet the winners of this VIP package. Fans registered for the chance to win this experience at tour stops on the 2010 Red Sox Road Trip presented by Coca-Cola which concluded earlier this week. At each stop, team representatives collected registration forms from those interested in participating in the random drawing and winners were alerted earlier this week. As part of the second annual Red Sox Road Trip, members of the front office, Wally the Green Monster and Red Sox ambassadors visited the six New England states distributing thousands of vouchers valid for the guaranteed opportunity to purchase two Red Sox 2010 Regular Season tickets. Connecticut: Francesco “Frank” Fazzolari from Vernon, CT.
Maine: Dan and Dorene Caron from Gorham, ME. Massachusetts: Milton “Milt” Alvarez from Tyngsboro, Massachusetts. New Hampshire: Bill and Kathi Jordan from Amherst, NH. Rhode Island: Peter Moniz from Tiverton, Rhode Island. Vermont: Elaine and Seth Barkyoumb from Fairfax, VT.
Additionally, single game tickets for most 2010 Red Sox home games will go on sale tomorrow, Saturday, January 30. Beginning at 10:00 a.m., fans will be able to purchase tickets to all games at Fenway Park, with the exception of all games with the New York Yankees and Los Angeles Dodgers. 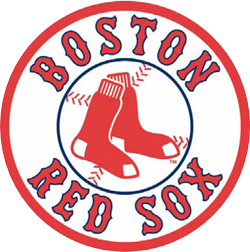 To purchase tickets on January 30, fans can log on to www.redsox.com or call the automated ticket line at 888-REDSOX6. Fans who require accessible seating can call 877-REDSOX9. Hearing impaired fans may call the Red Sox TTY line at (617) 226-6644. There will be a limit of eight tickets per person. Single game tickets for contests versus the New York Yankees and the Los Angeles Dodgers will be sold through a special random drawing, which will be held at a later date. Tickets for the Green Monster and Budweiser Right Field Roof Deck will also be sold via the random drawing.